Dominic Sergi is the President and CEO of Clear Height Properties, where he is responsible for setting and executing on the company’s long-term investment criteria. Since 2010, he has lead his team to acquiring and developing over $200 million in assets. Dominic’s oversees all aspects of the company’s integrated platform of management, leasing and construction. Dominic is active in various industry, community and charitable organizations. He’s a member of the local real estate chapters of NAIOP, SIOR, ULI and REIA. And charitable organizations of PAWS Chicago, USO of Illinois, and the Leukemia and Lymphoma Society. 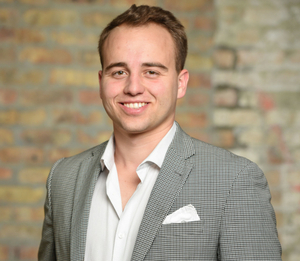 Dominic also serves on the board of several companies such as Cresco Labs, Outcome Health (formerly ContextMedia), Conversion Energy Systems, and BizAssure. Dominic A. Sergi is a licensed Managing Broker with the State of Illinois. Joe Sergi is responsible for overseeing property management, construction and business development. Prior to joining the firm, Joe was the Senior Vice President for Rex Electric & Technologies where he oversaw office and field staff who were the providers of all electrical, maintenance and technology services. He started working at REX when he was a teenager and worked his way up from warehouse labor to office positions in estimating to project coordination and project management. While leading the Technology Division from 2009-2013, Joe was able to double its size through his business development efforts. He was responsible for the acquisition and strategic alliances in 2013‐2014 that have extended REX’s reach and enabled the company to provide better service and value to REX clients. 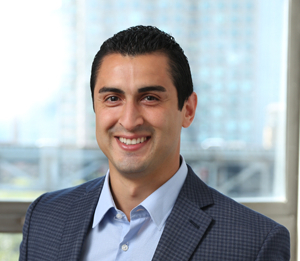 After graduating from college in 2007 with a degree in Communications, Joe was a Tenant Representative for nearly three years for Newmark Knight Frank, a commercial real estate company. Gary Rose oversees asset management and acquisition activities for Clear Height Properties. Prior to joining Clear Height Properties in 2018, Gary oversaw asset management, disposition and acquisition efforts at Equity Group Investments, where he focused on a portfolio of private real estate investments controlled by Sam Zell (which at times included, office, industrial, retail, multifamily, hospitality, parking and infrastructure assets). Previously, Gary served as Vice President of asset management at Ares Management where he managed a diverse portfolio of domestic equity and debt real estate investments. In that role, he developed and executed value-add business plans, including operations, capital, leasing refinancing and disposition initiatives. Earlier in his career, Gary worked at Wrightwood Capital and at PricewaterhouseCoopers. 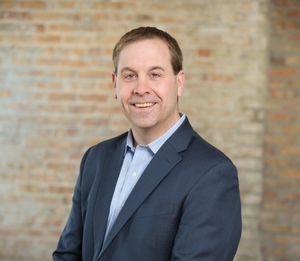 Gary holds an MBA from the University of Chicago Booth School of Business, a Masters of Accounting degree from the University of Michigan Business School and a BBA from the University of Michigan Business School. He is a licensed Managing Broker with the State of Illinois and a CPA. Nena Guillory Hamilton has over 20 years of commercial real estate experience including property management and accounting for industrial, residential, conference center, medical office, office, retail and mixed-use properties for clients including UBS, University of Chicago, Principal Life Insurance, JP Morgan, Inland Real Estate and HCA Healthcare. 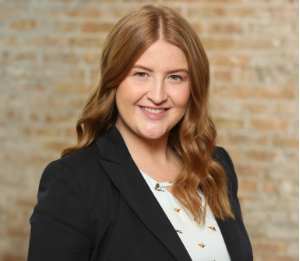 Prior to joining Clear Height Properties in January 2019, Nena acted as the Assistant Controller for the CBRE Chicagoland portfolio where she helped design and implement accounting software conversions and revise and implement the internal controls processes. While managing a staff of up to 10 full and part-time employees, Nena also spearheaded the transition of primary operational components to the national hub in Minneapolis and was instrumental in streamlining processes, particularly AR and AP processing, from manual and time-consuming processes to automated processes. During her tenure with Cassidy Turley (formerly Colliers Turley Martin Tucker) Nena worked exclusively on the HCA portfolio and provided Full Property Management Services, including leasing, for 300,782 square feet of medical office space between two hospital campuses in Southern Louisiana. She and her small staff also provided Enhanced Asset Management Services and Special Projects assistance for an additional 234,040 square feet across four hospital campuses in Southern Louisiana and Southern Mississippi. Prior to transitioning to Louisiana, Nena acted as the Business Manager for both Fornelli Hall, a 55,000 square foot, 9-floor residential center ensconced between businesses in the historic Pittsfield Building and University Center of Chicago, a 784,000 square foot, mixed use facility with 1,744 beds, on site, year-round food service facilities, 22,000 square foot of conference center and 25,000 square feet of street level retail. Rick Nevarez is a 10+ year commercial real estate veteran. Rick began his career in the commercial real estate industry with global industrial real estate investment trust Prologis. His responsibilities included management, leasing, client retention, project management, and overseeing an operating budget of six (6) million square feet of industrial and office real estate. While at Prologis, Rick coordinated multi-million dollar disposition of Industrial Real Estate to the City of Chicago/O’Hare Modernization Project. Rick also worked at ML Realty Partners, a private industrial real estate investor. During his tenure at ML, Rick oversaw third party management teams and brokerage teams. 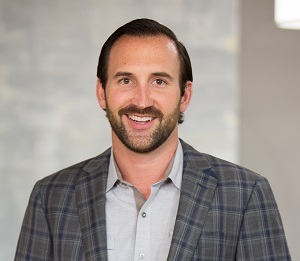 Rick has also been previously assigned to assist with the strategic leasing and disposition of Bridgestone Americas industrial real estate portfolio throughout the United States. 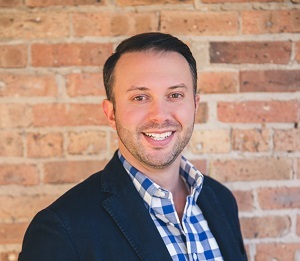 Rick is actively involved in the DePaul Real Estate Alumni Alliance (DREAA) and is also a member of Young Real Estate Professionals (YREP), Young Professional of Chicago (YPC) and International Council of Shopping Centers (ICSC). Rick is a graduate of DePaul University, Driehaus College of Business, B.S. in Finance and Management and a Licensed Real Estate Broker in the State of Illinois. 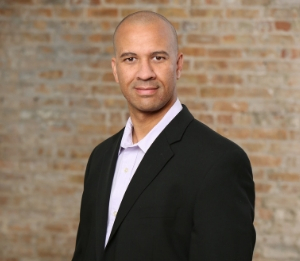 Rick Nevarez is a Licensed Real Estate Broker with the State of Illinois. Jason Pammler brings 15 years of relevant construction, design, and development experience to Clear Height Properties with a diverse background in all project types totaling more than $1 Billion Dollars. While Jason’s recent focus has been on significant interiors projects, he is accomplished in development and ground up construction. Jason is known for his ability to recognize important and often-missed details, while being attentive to the broader project goals of the firm and clients. He is motivated by bringing the project teams together to resolve the challenges of construction before they ever become issues. Jason is focused on leveraging technology to support decision making, efficiency, and transparency. 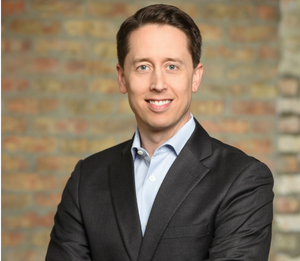 Jason holds a Master of Science in project management from Northwestern University. Joe Young is responsible for managing the underwriting, financing and closing of acquisitions, dispositions, joint venture agreements, investor reporting and other portfolio/asset management activities for Clear Height Properties. Prior to joining Clear Height Properties in October 2018, Joe provided asset management services at Situs for one of its dedicated client platforms focused on a portfolio that included office, industrial, retail, multifamily, hospitality and development properties. Prior to his tenure with Situs, Joe managed a portfolio of highly structured loans for Bank OZK (formerly known as Bank of the Ozarks) and performed various responsibilities at Pearlmark Real Estate Partners for its portfolio management, asset management, acquisitions, originations and accounting groups. Joe began his career as a CPA at PricewaterhouseCoopers. Joe received both his Masters in Accounting and his Bachelor of Business Administration from the University of Michigan’s Ross School of Business. Additionally, he has served as a CPA in both the state of Illinois and the state of Michigan. 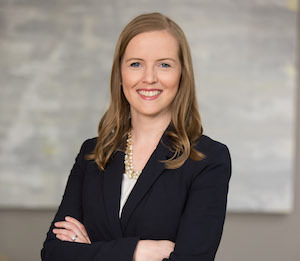 Lauren Kearney is the Marketing Coordinator at Clear Height Properties, where she is responsible for communications, marketing, executing on various company objectives, and oversight of daily operations, and so much more within the company. Lauren joined Clear Height Properties in 2016, when she moved to Chicago. 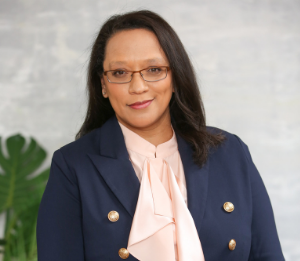 Previously, she held various administrative and coordinating positions in healthcare, human resources, and construction management. Lauren holds a Bachelor’s degree in Public Health Education from the University of Louisville. In her spare time she enjoys running, reading and traveling. Ryan is an Associate Property Manager where he is responsible for managing property assets, tenant relationships, and assisting the management team in day-to-day company operations. 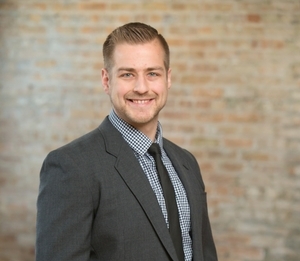 Ryan previously worked as a Commercial Real Estate Analyst with Colliers International in Ann Arbor, Michigan. Ryan is graduate from Michigan State University where he earned his B.A. in Economics and is a Licensed Real Estate Broker in the State of Michigan (2017) and State of Illinois (2018). In his free time, Ryan enjoys all of types sports and spending time with family. Tom is responsible for assisting the team with all aspects of Accounting and Finance. More specifically, Tom assists the Finance Director with day-to-day operations and communicating with Clear Height Properties property management team. Tom’s interest for Real Estate started through various Real Estate courses in college. Since then, Tom’s interest for the industry has grown. His work experience has mainly been in the healthcare sector with Athletico Physical Therapy as a Rehabilitation Aide and Assistant Office Coordinator. At Athletico, he assisted patients with their therapeutic exercises, while making sure front desk operations ran smoothly and efficiently. Tom is a graduate of the University of Illinois at Chicago (UIC) where he earned his B.S. in Finance with a minor in Kinesiology. In his free time, Tom enjoys playing in soccer leagues year-round, working out, and following just about every sport possible. Kailey Cooper is the Administrative Assistant at Clear Height Properties, where she is responsible for communication and oversight of daily operations within the Property Management and Project and Development Services Departments. Kailey joined the team at Clear Height Properties in 2018, and brings with her 6+ years of experience in office administration, facility management, tenant relations, event planning, and hospitality. Kailey is a graduate of De La Salle High School. In her free time, she enjoys traveling and photography. Experience the Clear Height difference, let’s do something great together.